Telangana Common Entrance Test (TS ECET-2019) will be conducted on 11-05-2019 from 10.00 AM to 1.00 PM for admission into 2nd year level Lateral Entry into Engineering/Pharmacy Courses for Diploma holders of Engineering & Technology and B.Sc. 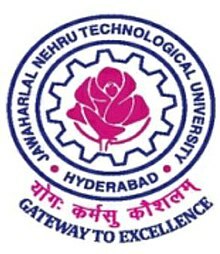 Candidates for the academic year 2019-20. by Jawaharlal Nehru Technological University, Hyderabad on the behalf of TSCHE.The academic year 2019-20 on behalf of Telangana Council for Higher Education (TSCHE) The exam was conducted at various Examination centers in the state Of TS. TS ECET is conducted for admission to Admission into Engineering/Pharmacy Course for Diploma & B.Sc being offered at Colleges of Education in Telangana for the academic year 2019-20. T.S. Common Entrance Test (TSECET-2019) will be conducted on 11-05-2019 from 10.00 AM to 1.00 PM for admission into 2nd year level Lateral Entry into Engineering/Pharmacy Courses for Diploma holders of Engineering & Technology and B.Sc. Candidates for the academic year 2019-20. Candidates who are eagerly waiting to know their results Rank cards in the andhra pradesh icet results 2019, can check their results in our official web site www.schools9.com , Those candidates are attended in the TS ECET Exam, it is the good news for them, that they get their result. candidates are seeking to get admission for the TS ECET, they can join the regular courses in the Telangana Universities and institutions. Aspirants can check all important information about the TS ECET after upgrading it. It includes all details about the TS ECET exam rank cards 2019. The qualifying percentage marks for obtaining a rank in TSECET -2019 is 25% of the aggregate marks in the four subjects (three subjects for B.Sc. Mathematics) i.e., 50 marks out of a total of 200. However, in the case of SC/ST candidates, there shall be no minimum qualifying marks for ranking the candidates. The rank obtained with the benefit of relaxation of the minimum qualifying marks at the TSECET [FDH & B.Sc. (Mathematics)]-2019 by any candidate claiming to belong to SC/ST category will be cancelled in case the claim is found to be invalid at the time of admission. All the candidates shall take utmost care while submitting the online application. The TS ECET 2019 will be conducted online only and the candidates willing to appear are requested to get acquainted with the online Examination Process through practicing mock tests. All the photographs submitted with the application must be exactly identical. Otherwise, Hall Tickets will not be issued. Such applications will be summarily rejected. Candidates are not admitted to the examination after 10.00 A.M. and not permitted to leave the Examination hall before 01.00 P.M. It is the responsibility of the candidates to ensure that they are answering the correct Question Paper of the branch for which they are eligible for admission (for FDH candidates only). Any malpractice case will be dealt with as per rules of CETs in force. The Online Answer Script images of TSECET -2019 will be preserved for six months from the date of publication of results after which time they shall be disposed. In any litigation concerning TSECET [FDH & B.Sc. (Mathematics)]-2019 ,the parties to be impleaded are Secretary, T.S. State Council of Higher Education, Hyderabad and Convener, TSECET [FDH & B.Sc.(Mathematics)]-2019. If the litigation is concerned with any issue related to Admissions based on TSECET 2019, the parties to be impleaded are Secretary, T.S. State Council of Higher Education, Hyderabad and Convener (Admissions), TSCHE, TSECET 2019. Any litigation concerning TSECET [FDH & B.Sc. (Mathematics)]-2019 shall be with in the jurisdiction of the High Court T.S., Hyderabad only.